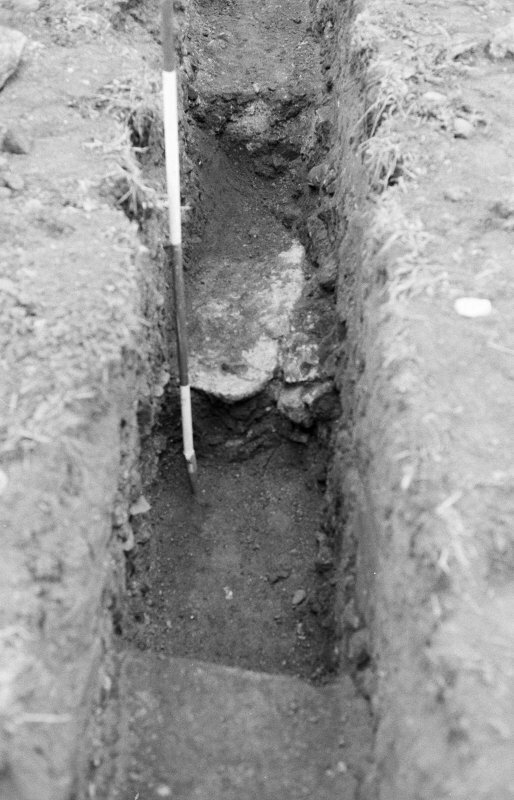 Excavation photograph : trench VIII - looking west. 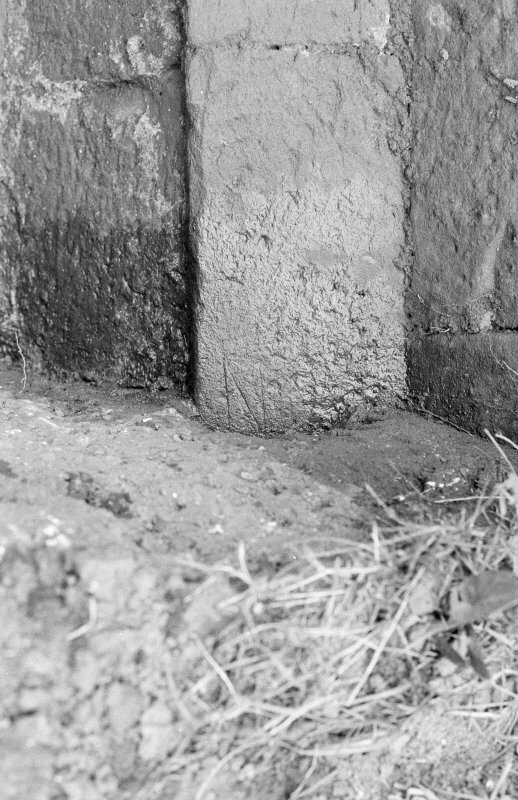 Excavation photograph : mortar and tile impressions looking north. 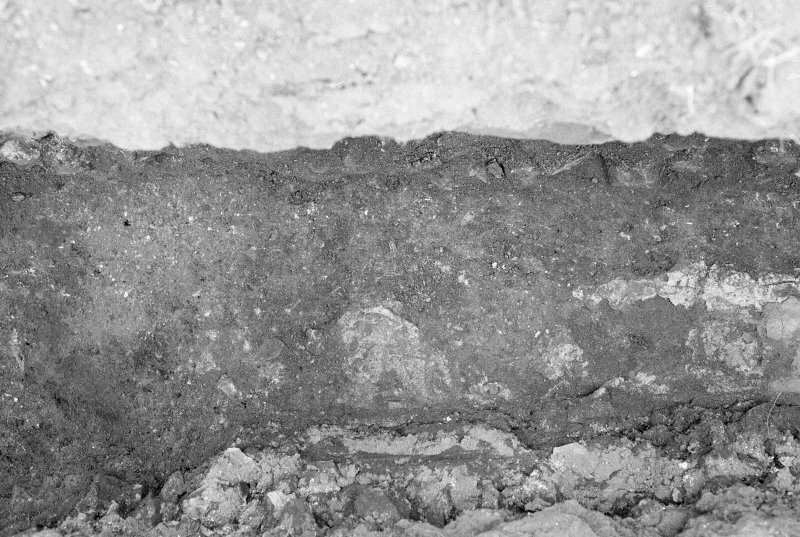 Excavation photograph : trench IX - detail of nails and burning at internal wall. 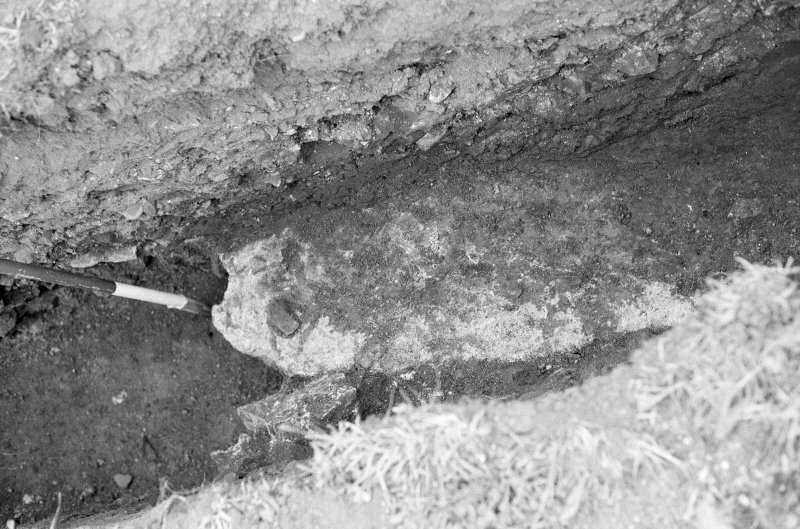 Excavation photograph : trench II. 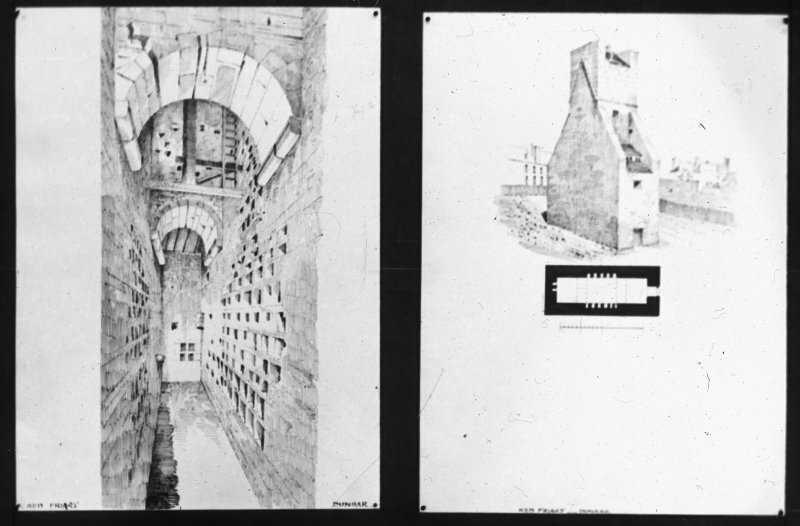 Detail interior drawing and elevation. 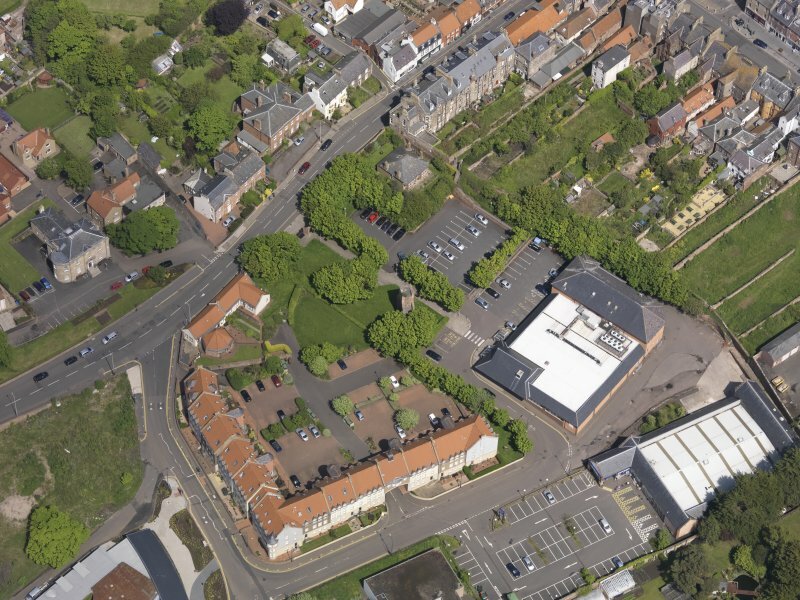 Oblique aerial view of Friarscroft Priory, taken from the SSW. 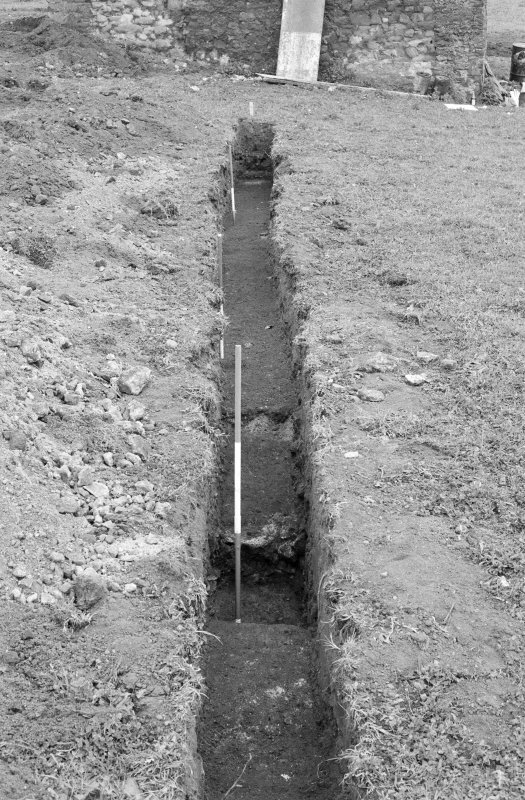 Excavation photograph : general view of site, with trial trench 4 to left of shot, looking north-east. 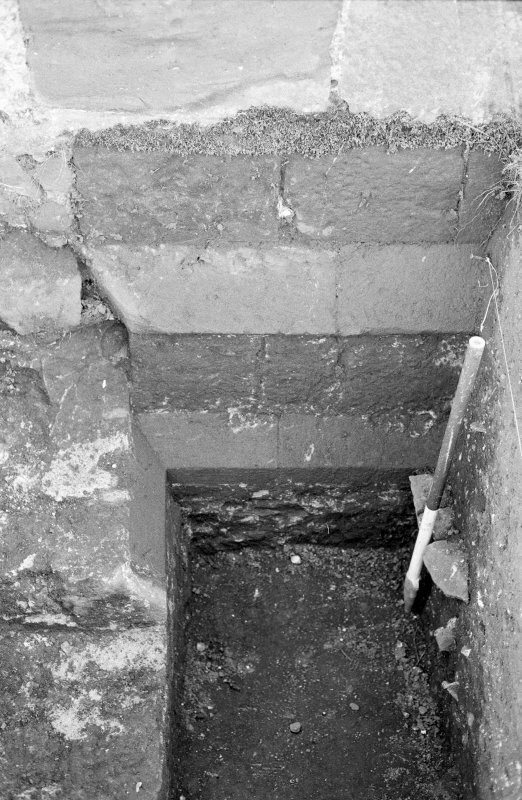 Excavation photograph : trench VIII, wall slot - looking north. 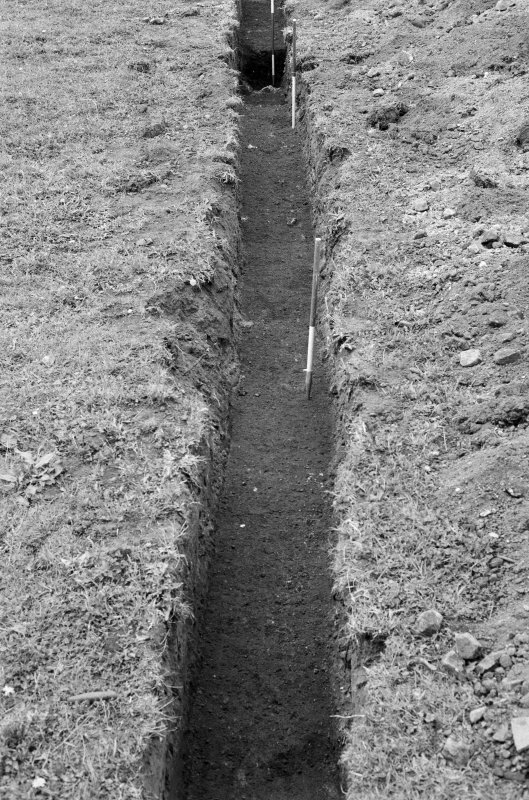 Excavation photograph : general view of trench IX looking east. 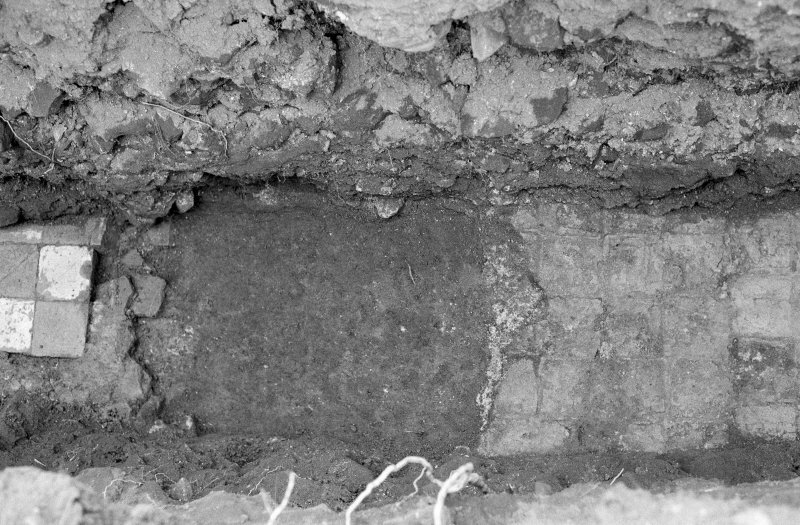 Excavation photograph : mortar/tile impressions looking north. 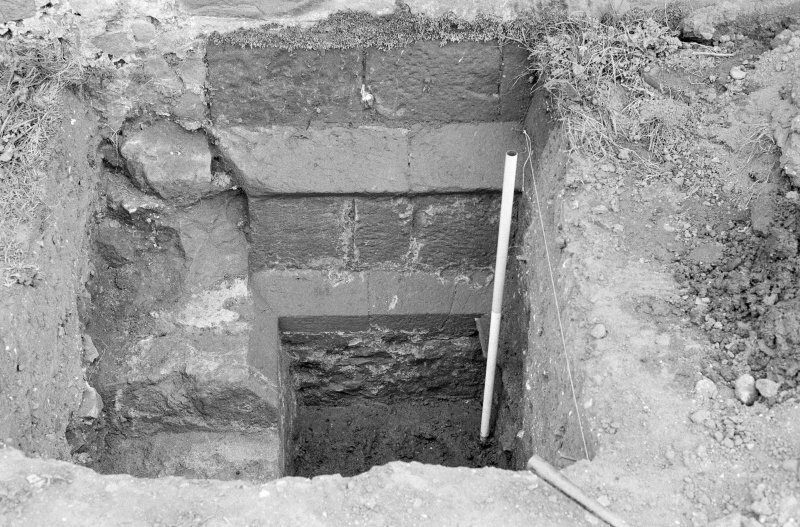 Excavation photograph : entrance to doocot. 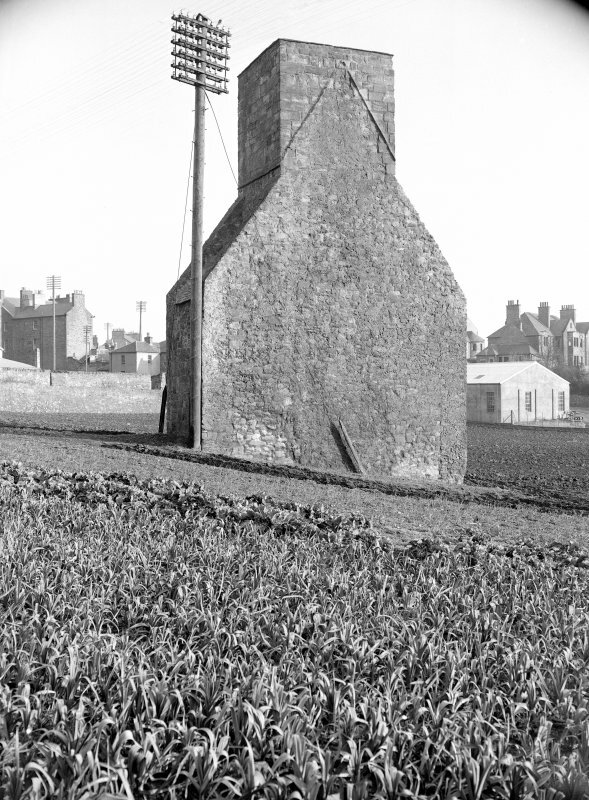 View of Friars Croft dovecot in Dunbar. 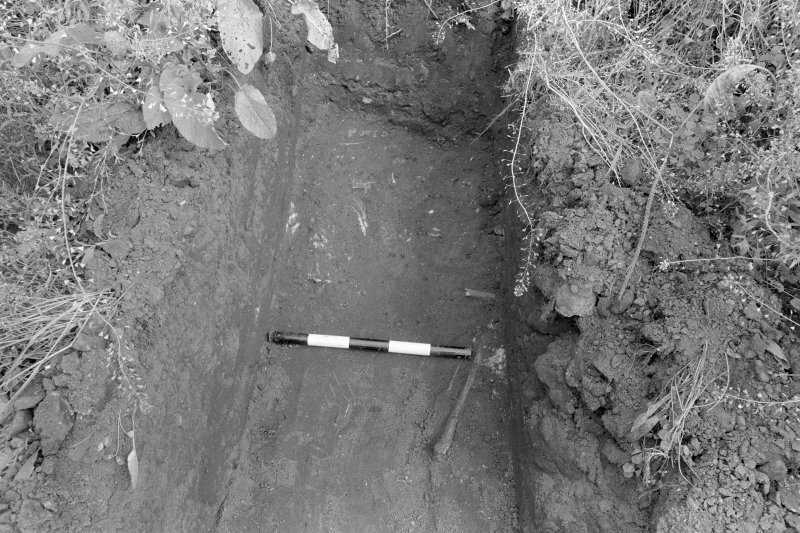 Excavation photograph : trench VII - looking east. 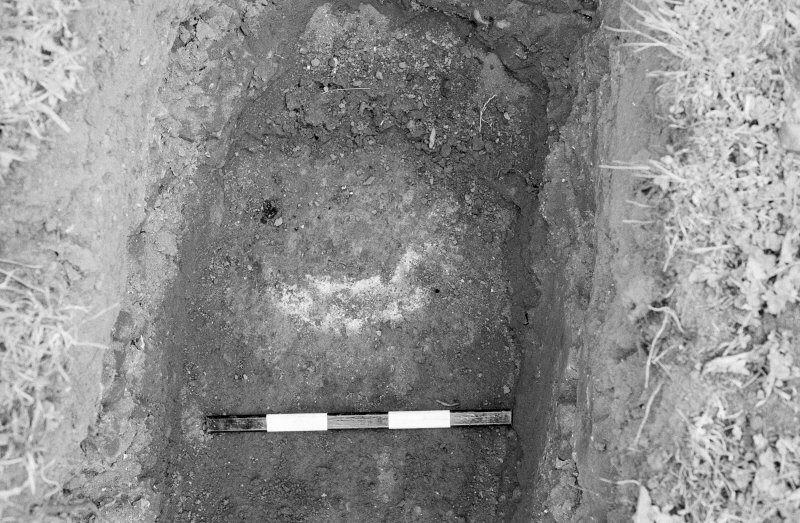 Excavation photograph : trench VIII, cleaned hearth 57. 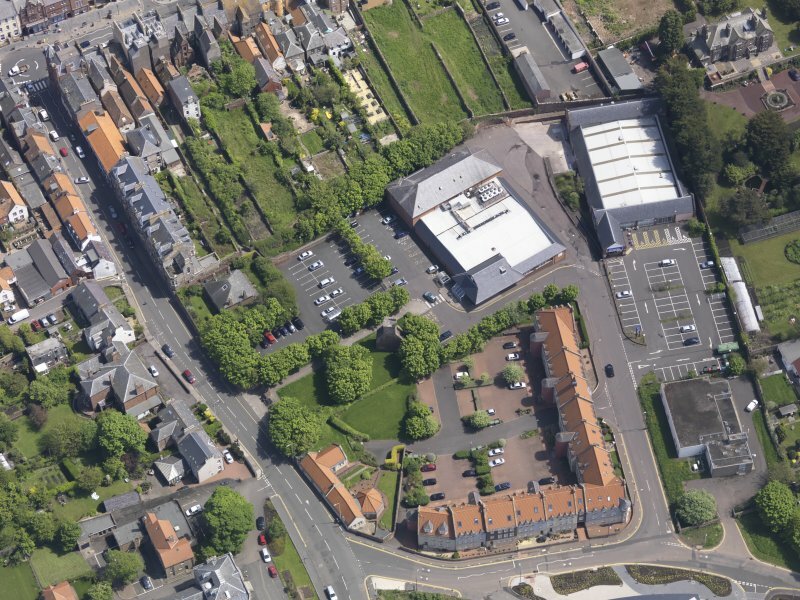 Oblique aerial view of Friarscroft Priory, taken from the NW. 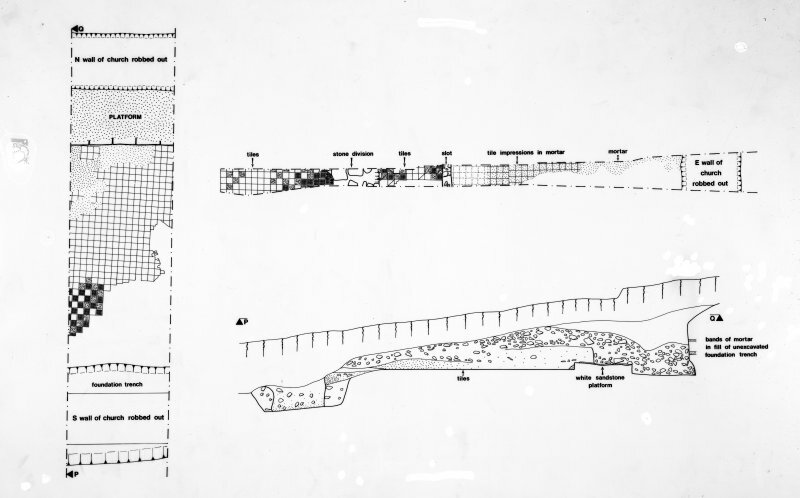 Oblique aerial view of Friarscroft Priory, taken from the N.
Excavation photograph : detail of human bone in trial trench 3, looking east. 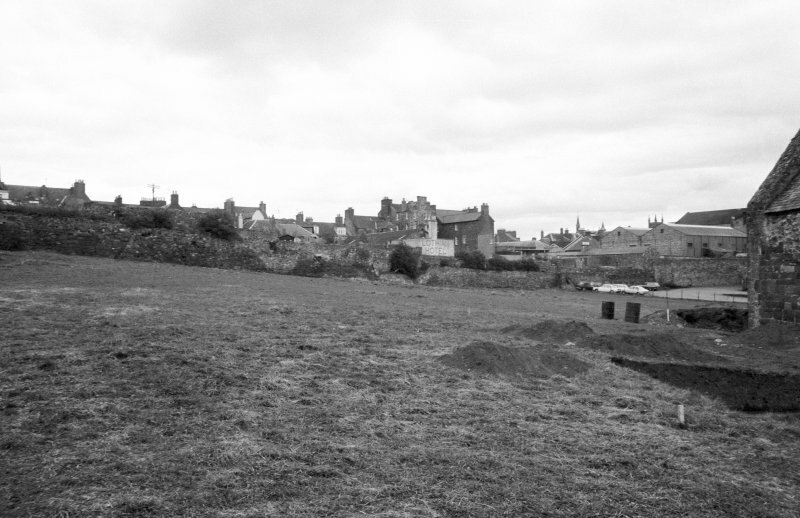 Excavation photograph : general view of trial trench 1 with doocot in background, looking east. 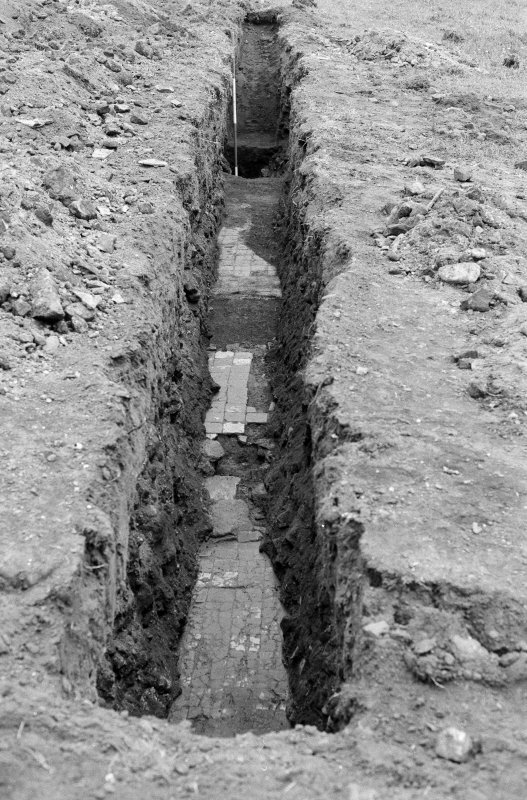 Excavation photograph : trench VI, general shot looking west. 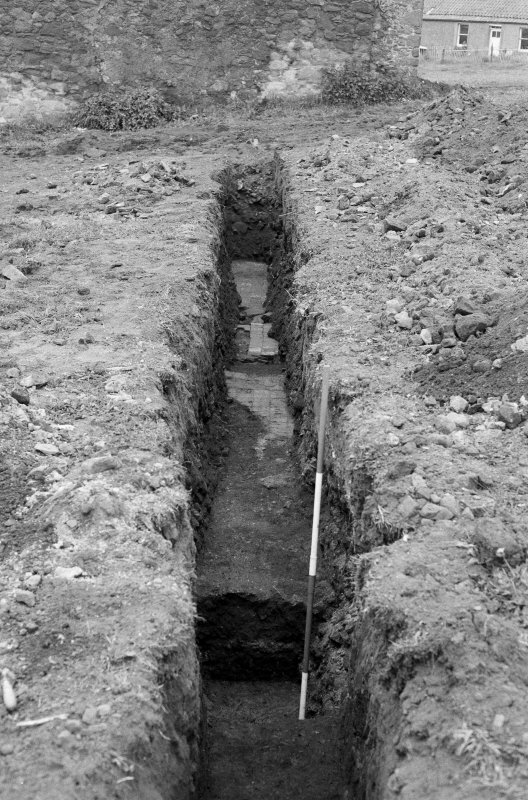 Excavation photograph : location shot of trench IX, looking west. 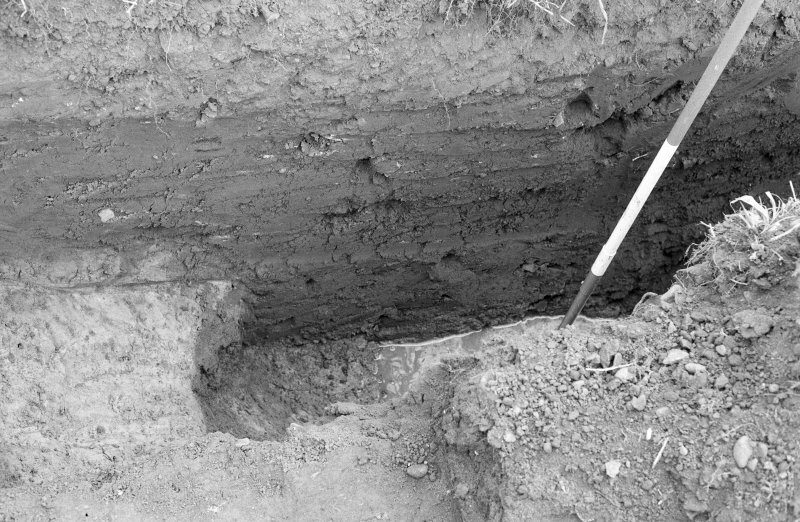 Excavation photograph : general view of trench IX looking west. 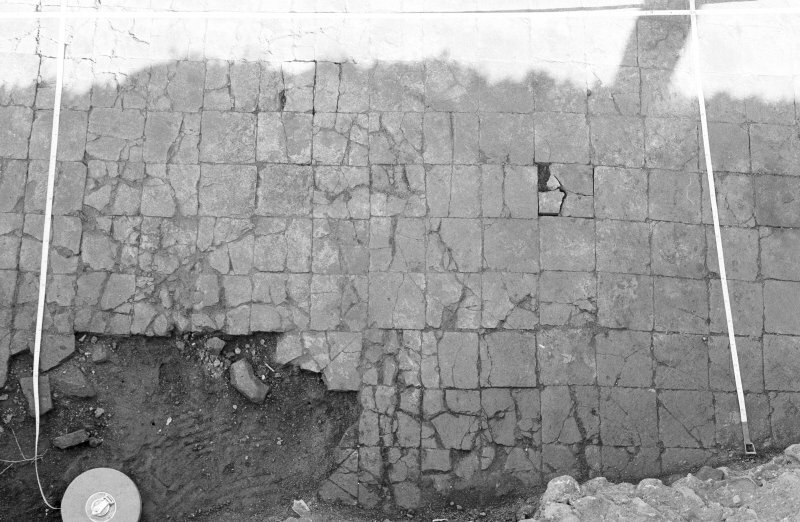 Excavation photograph : north section, east wall slot. 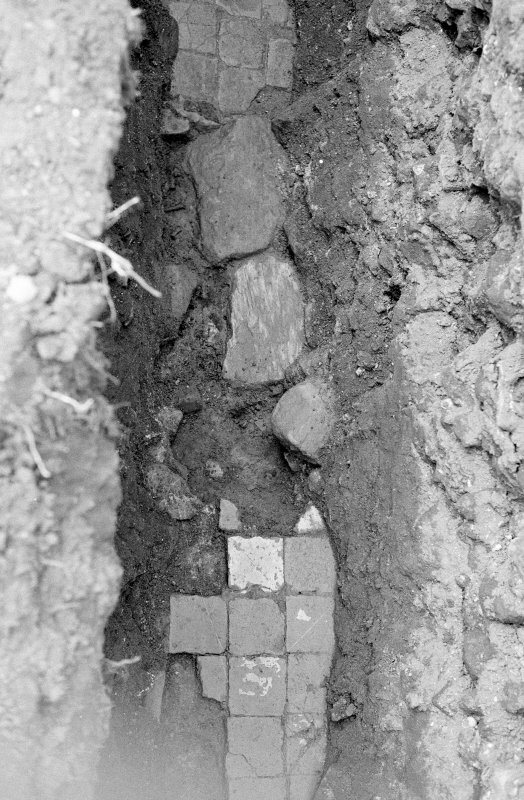 Excavation photograph : trench IX - W tiles, looking east. 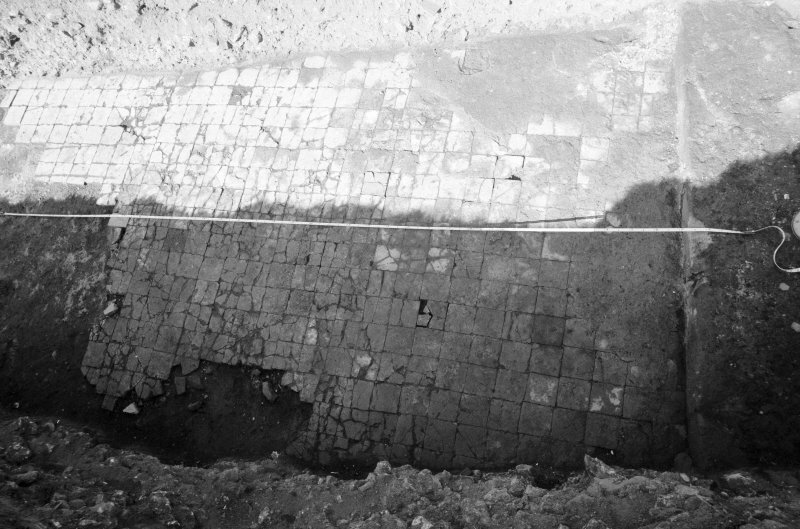 Excavation photograph : general view of site, looking east. 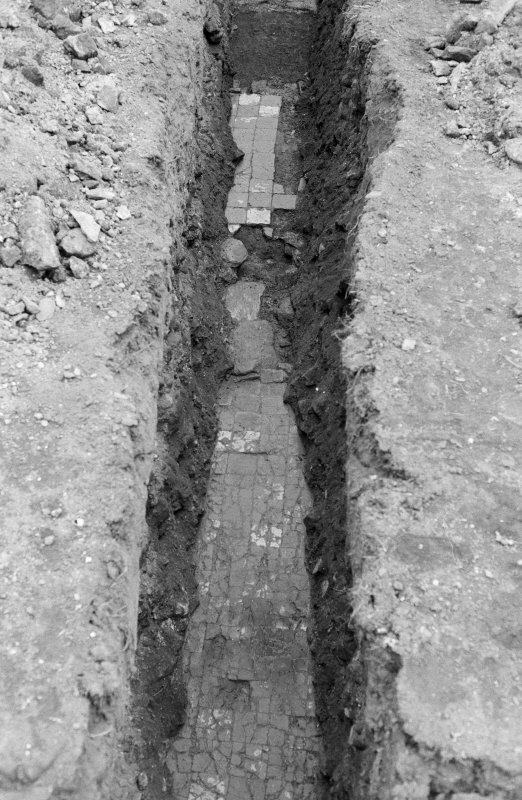 Excavation photograph : trench IX - W tiles, looking north. 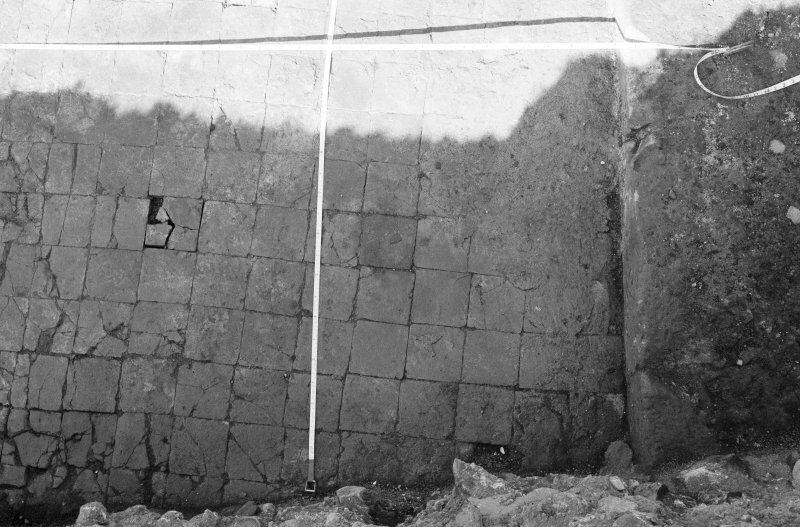 Excavation photograph : general shot of site. 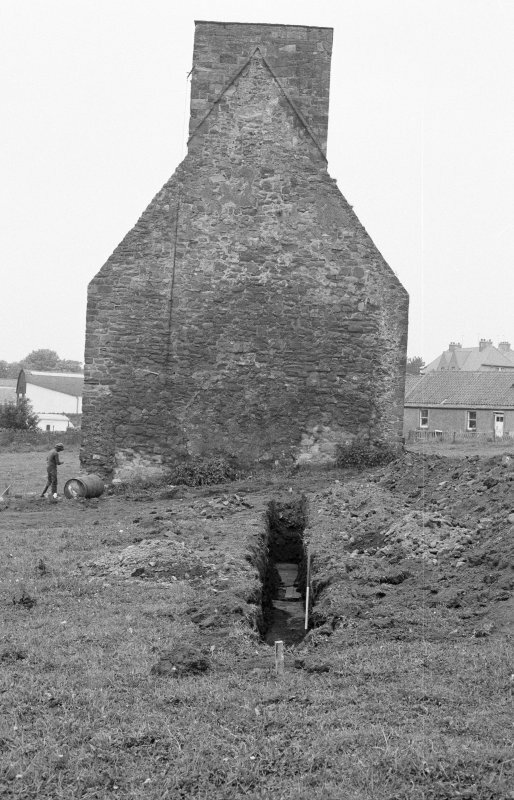 Excavation photograph : general view of trial trench 2 with doocot in background, looking north-east. 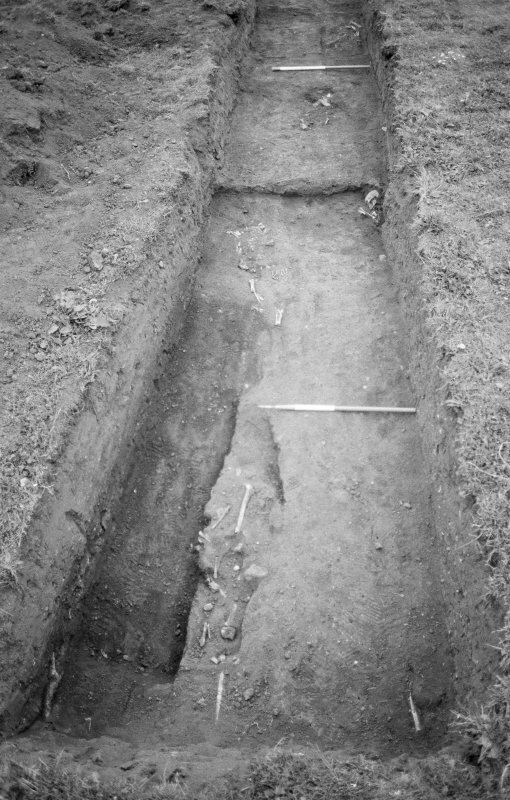 Excavation photograph : trench VIII, looking east. 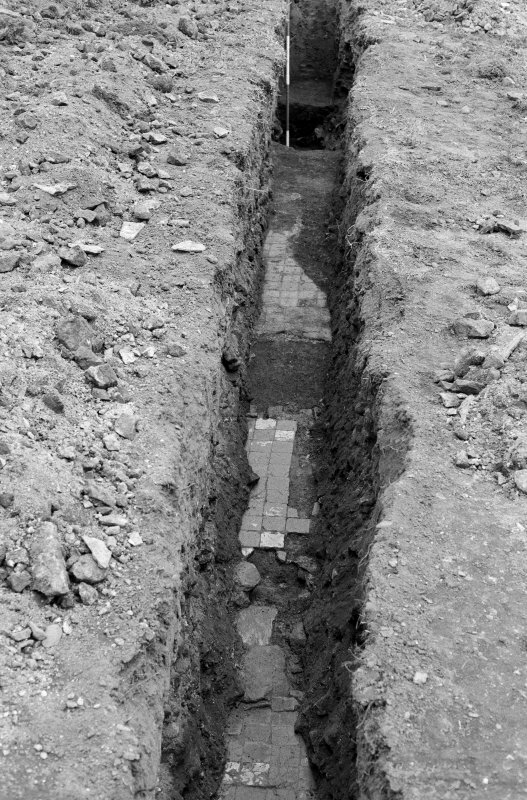 Excavation photograph : construction trench for west wall. 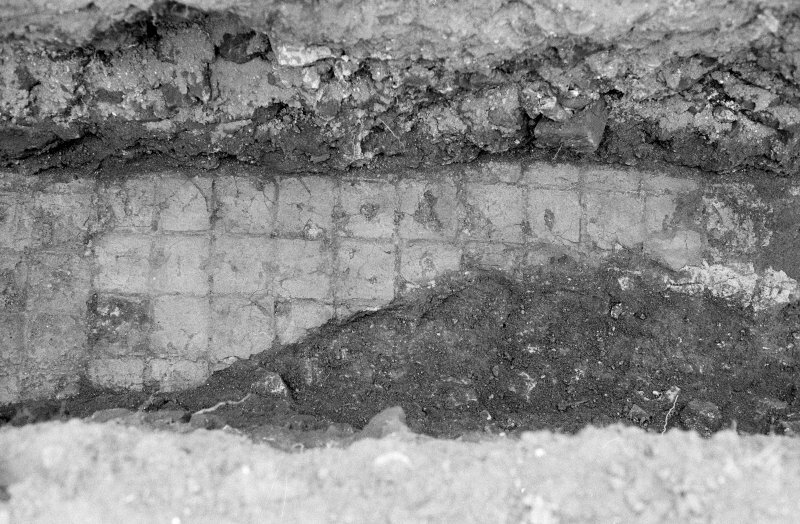 Excavation photograph : trench IX - 2nd tile floor, looking north. Oblique aerial view of Friarscroft Priory, taken from the SE. 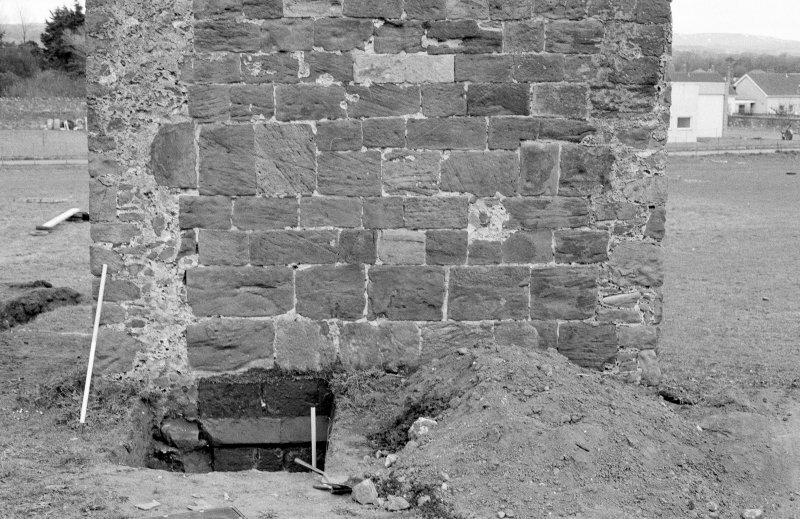 Excavation photograph : distance shot of church looking north. 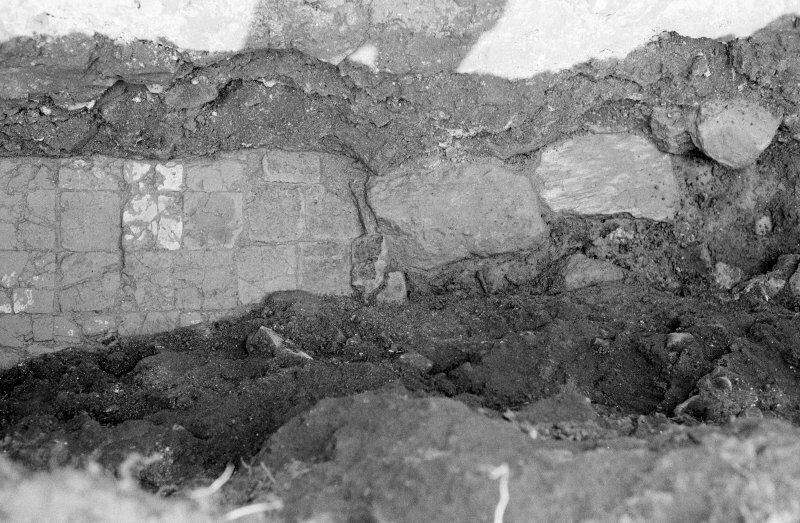 Excavation photograph : tile floor. 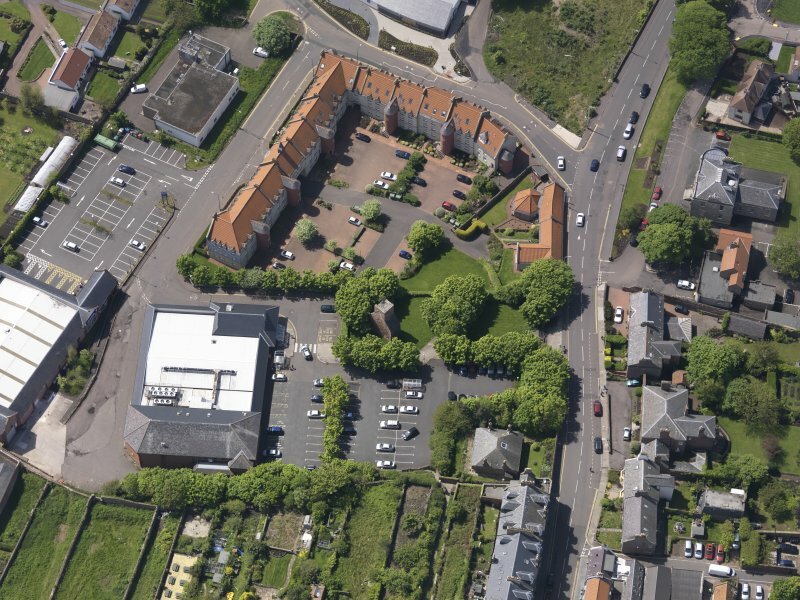 Oblique aerial view of Friarscroft Priory, taken from the ENE. 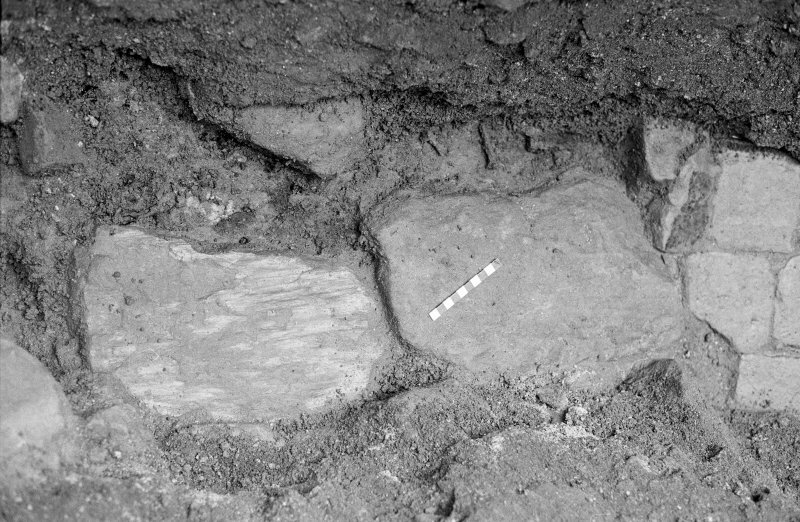 Excavation photograph : detail of hearth, looking east. 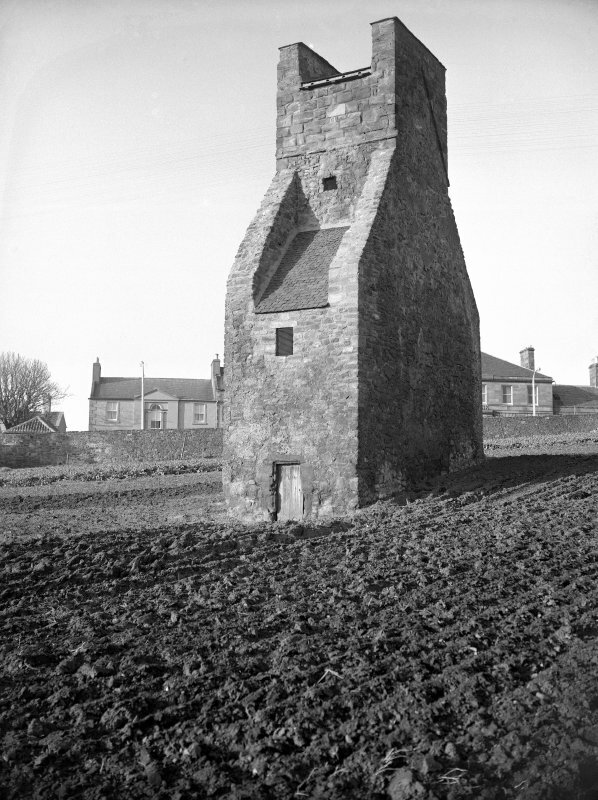 This dovecot was in a very good condition when seen in 1962. Visited by OS (DT) 28 August 1962. 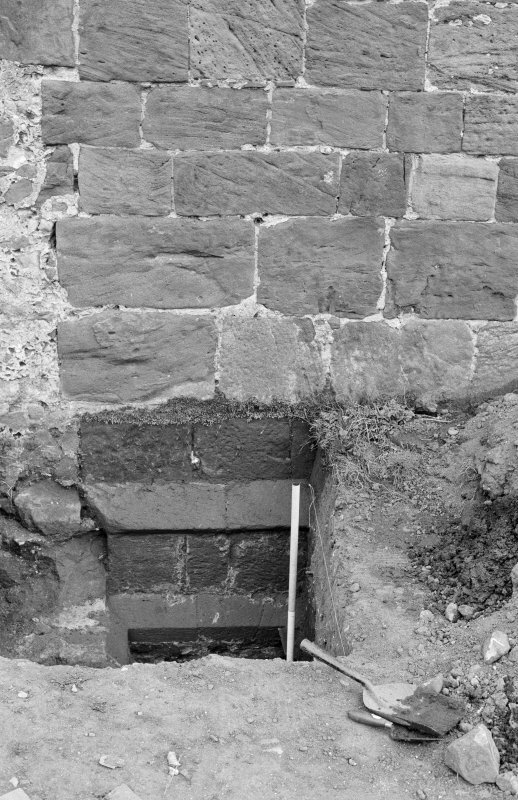 The small house of Trinitarian or Red Friars at Dunbar is stated to have been 'biggit and foundit' by Cristiana de Brus, countess of Dunbar, this foundation probably taking place in 1240-8. 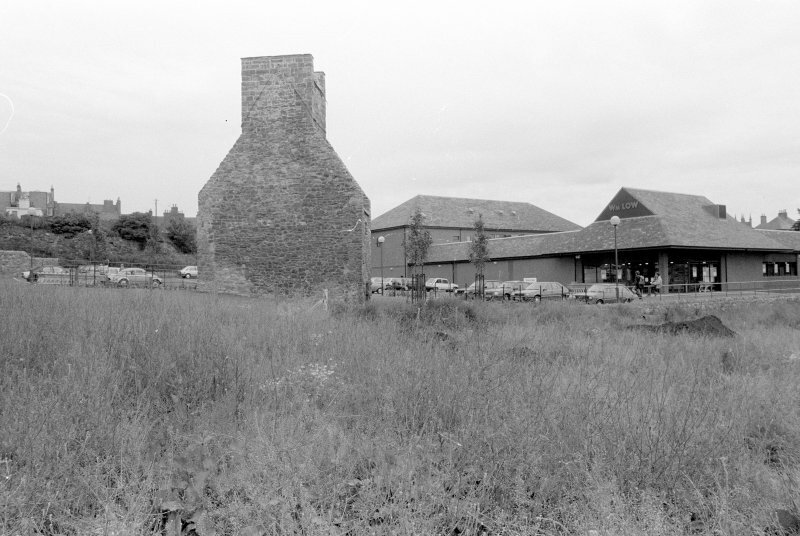 The priory was dissolved in 1529 (I B Cowan and D E Easson 1976). 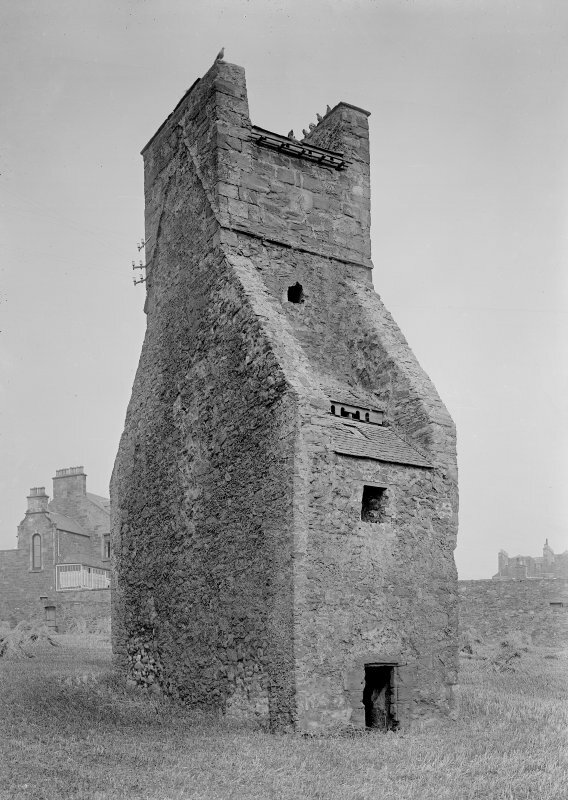 All that now remains is the tower for the church, which has been converted into a dovecot. It measures 27 by 12ft with random rubble walls and a single string course. In the interior there are about 200 nests cut at random in the walls. It is in good repair. 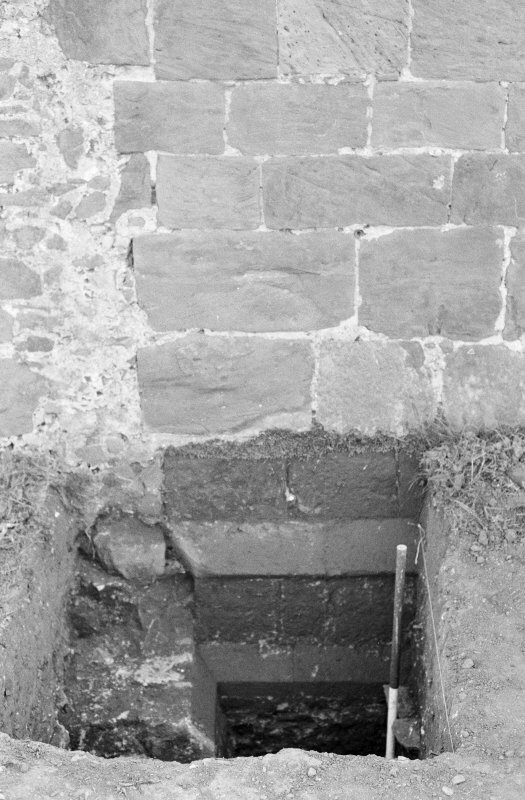 The date '1716' is present on the W jamb of the entrance to the dovecot. 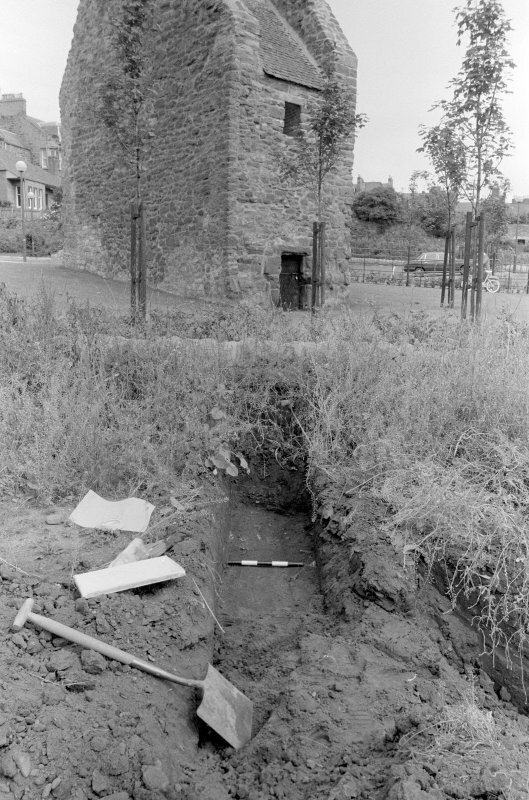 A three week excavation confirmed that this dovecot was a central tower for the presumed friary church. 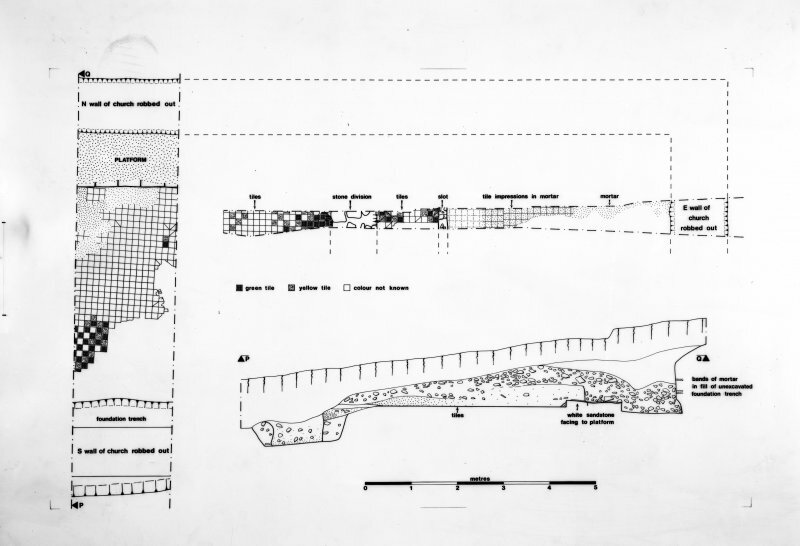 The walls, though elsewhere robbed out, showed it to be a building 39m long by 8m wide. The chancel and nave were of an equal size, 16m long. 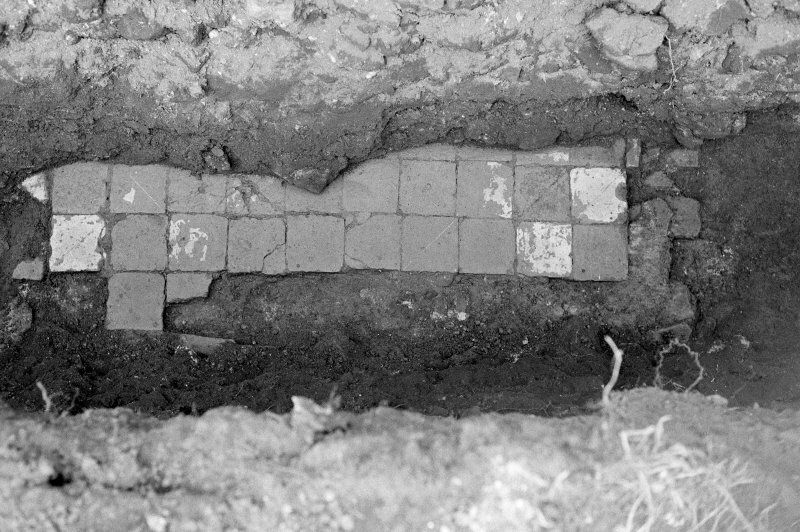 Traces of a yellow and green glazed tile floor were found in the chancel, possibly dating to the foundation of the friary. Buttressing was found on the N side of the building. There was no trace of ancilliary claustral buildings. 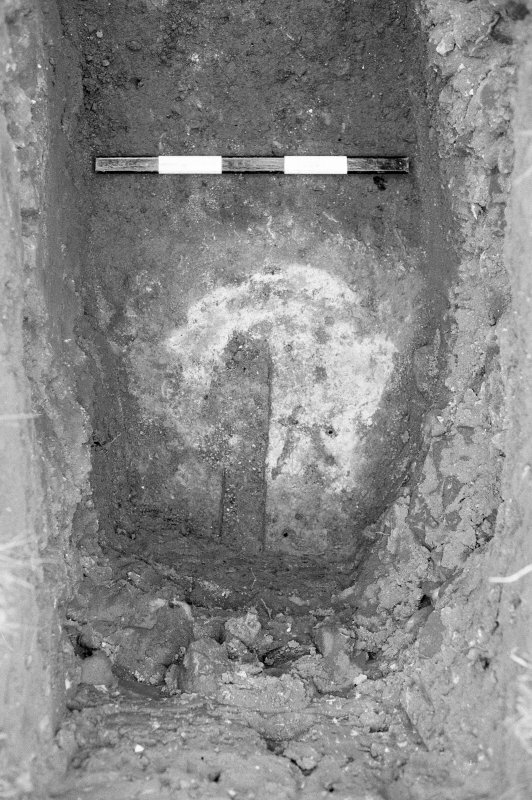 A cemetery was found to the S of the church. 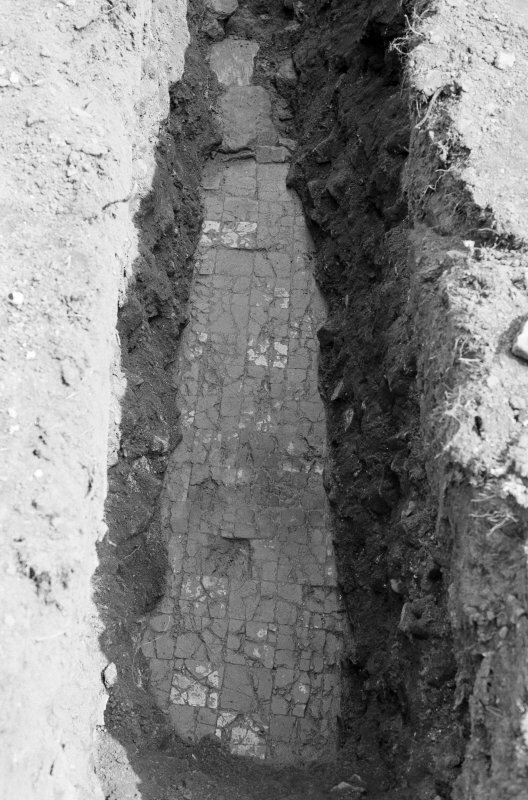 To the N of the church there was evidence of medieval ploughing. 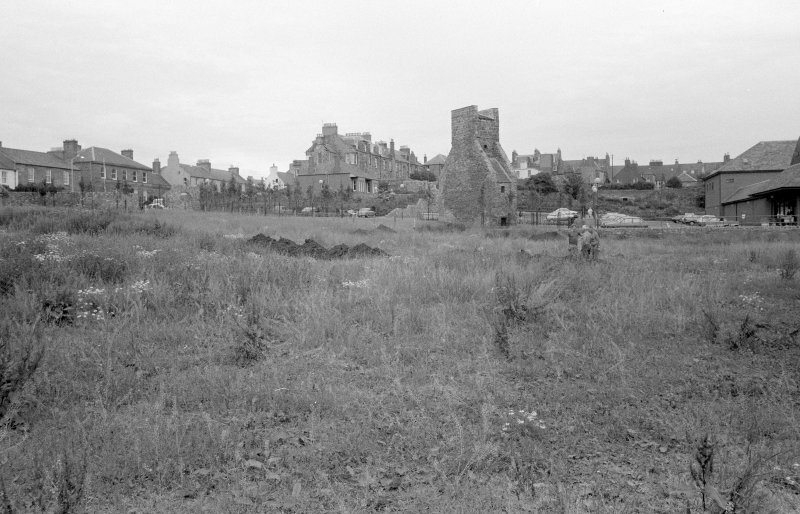 The field of Friarscroft, Dunbar, was examined in advance of redevelopment so that an assessment of its archaeological potential could be made. 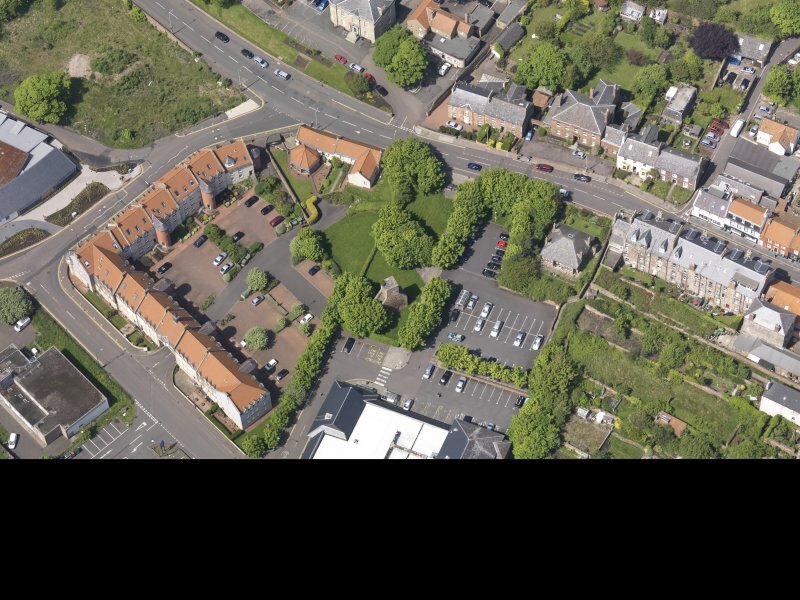 By tradition this field has been ascribed to the Red (or Trinitarian) Friars who founded a house at Dunbar c 1240 (Cowan and easson 1976, 108). 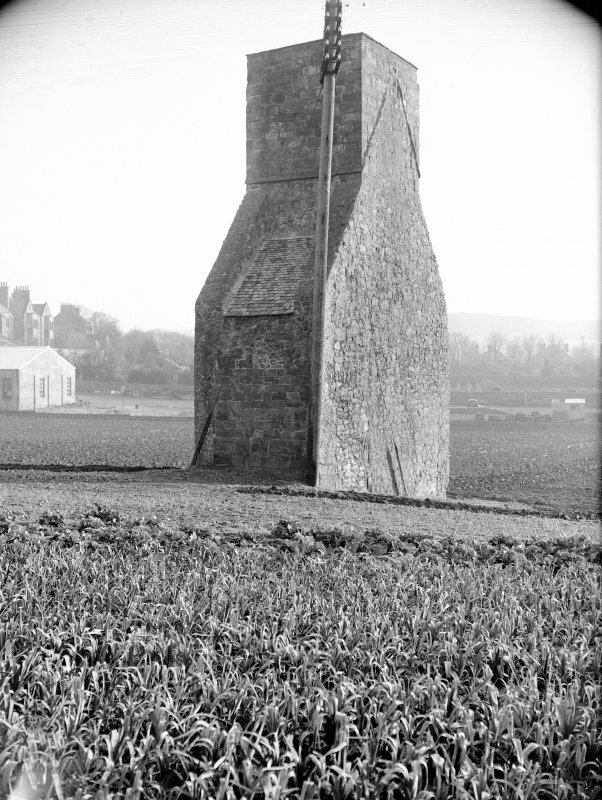 This tradition was accepted by the RCAMS (1924, 29) when they examined a dovecot tower that still stands in the centre of the field. The ashlar masonry incorporated in this building, two substantial arches inside and two gable ends facaing respectively E and W, were interpreted as forming part of the Trinitarian Friars' Church. 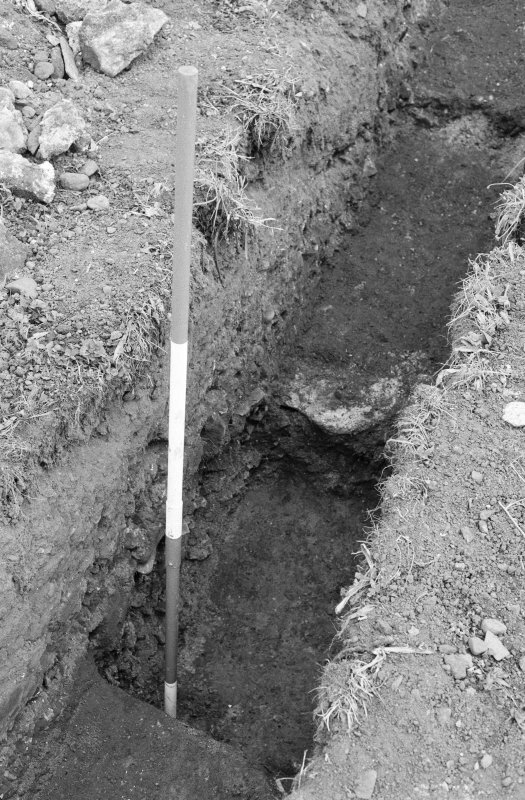 As a result of exploratory trenches the extent of this friary church and part of a cemetery were uncovered. 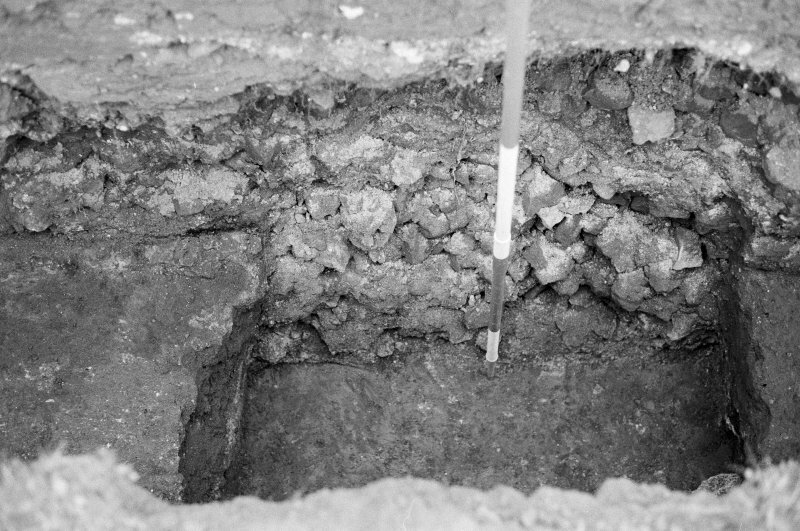 No cloister or other associated buildings were found, though only a portion of the field could be counted. 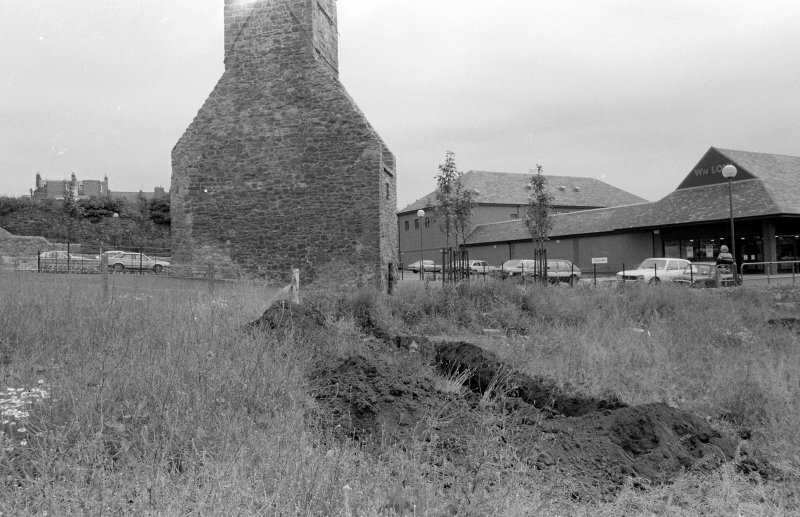 Trial excavations in advance of a proposed housing development took place in July 1987. 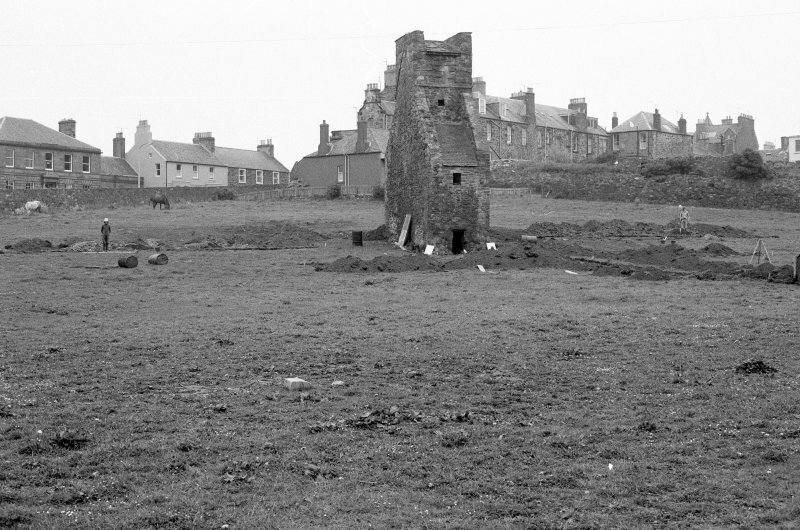 Trenches were cut in the open field adjacent to the standing tower of the Church of the Trinitarian Friary. 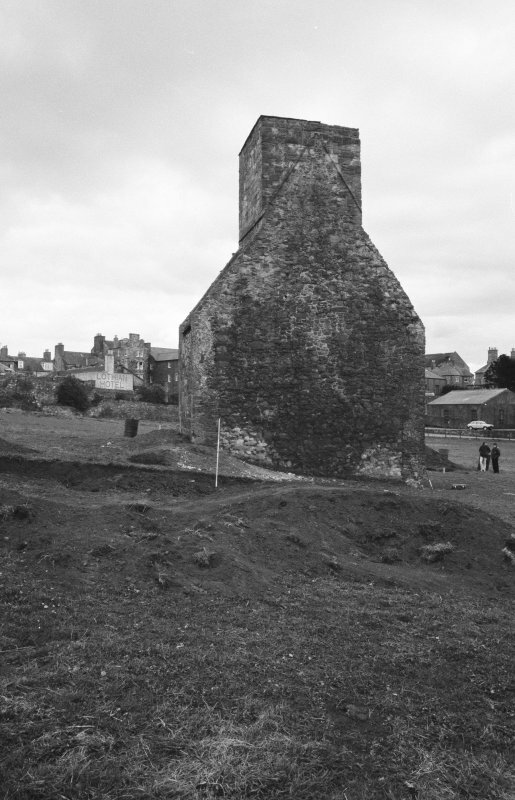 Part of the friary graveyard was located and a possible western limit to it was defined. 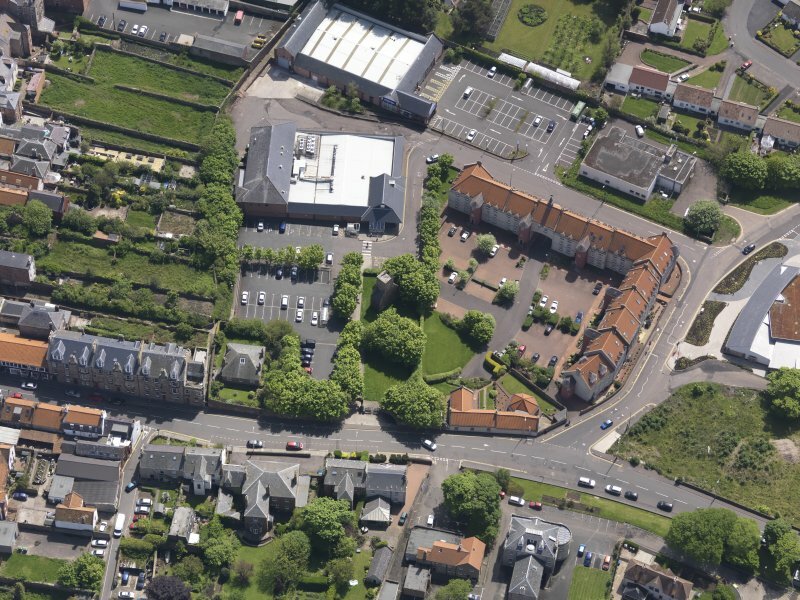 The first mention of a church at Dunbar occurs in the 1176 Taxatio of Lothian (Miller, 1830, 183). The church itself was dedicated apparently to one St. Bey (also known as St. Ann) an obscure, pious female who lived in strict seclusion on the small island of Cumbrae in the Firth of Clyde (Fish, 1929-30, 30). 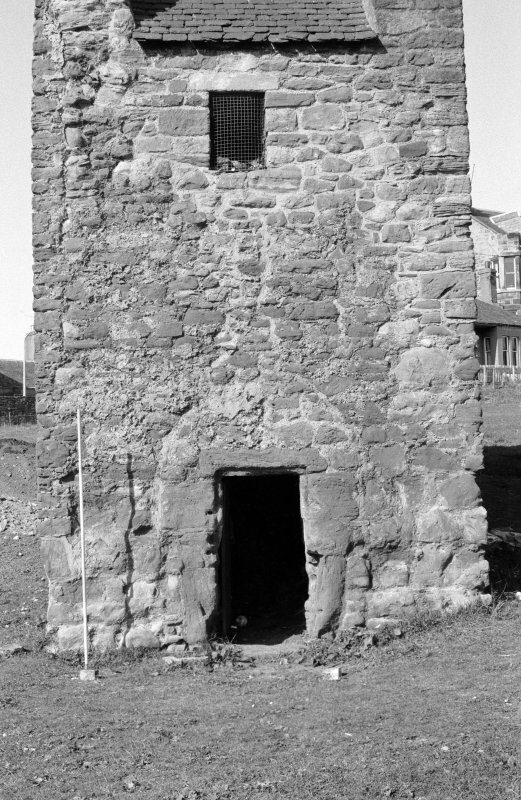 The original building was probably Norman with a western tower. A choir and presbytery were added in the thirteenth century. 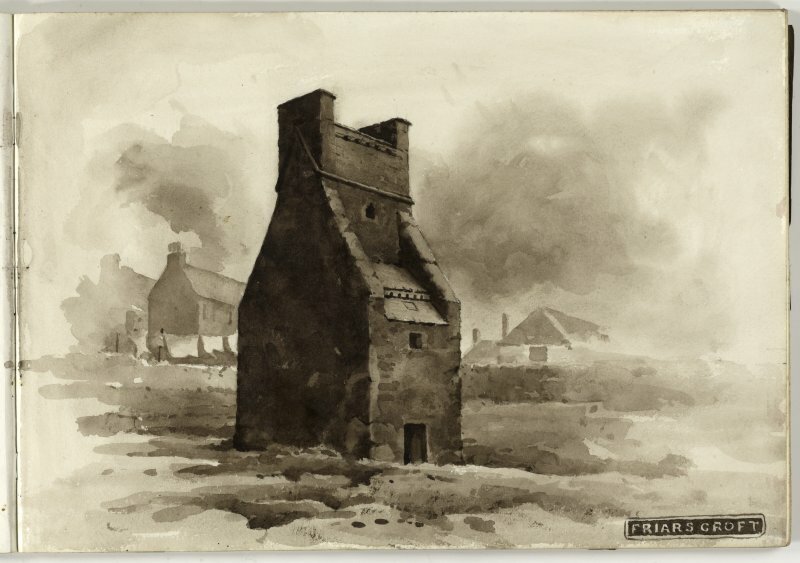 By the end of the eighteenth century the fabric of the church was described as being 'very old' and was 'till lately' in the inside 'especially of the worst and most inconvenient perhaps in Scotland' (Withringt0n, 1975, ii, 473). A new church was erected on the site of the old one in 1819.